The Philippines had 5.36 million foreign tourists in 2015 staying an average of 10.5 days. It earned some P227.62 billion in revenues, representing close to 16% increase in arrivals and close to 6% increase in revenues vs 2014. 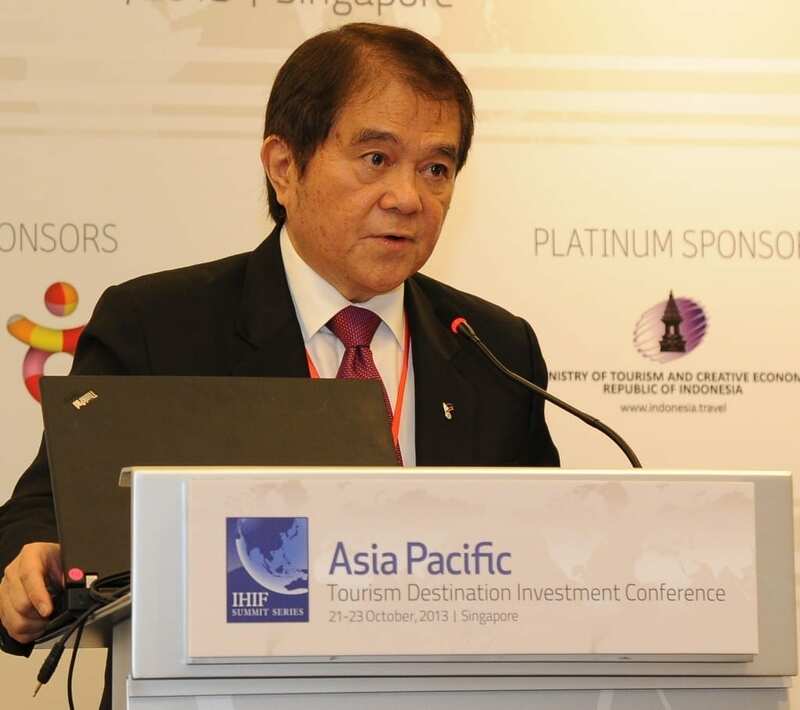 Samie Lim, Vice President for Tourism and Retailing of the Philippine Chamber of Commerce and Industry (PCCI), has proposed 8A’s to drastically improve tourism in the Philippines: Arrival, Access, Accommodations, Attractions, Activities, Advertising, Academic linkage, and Assurance of safety. Mr. Lim shares his thoughts on how tourism can be another engine of economic growth and pride for the Philippines with natural (and not just man-made) attractions such as Palawan and Boracay (rated by Travel and Leisure Magazine as the number one and two island destinations) , and caring, hospitable and English-speaking people. Q1. 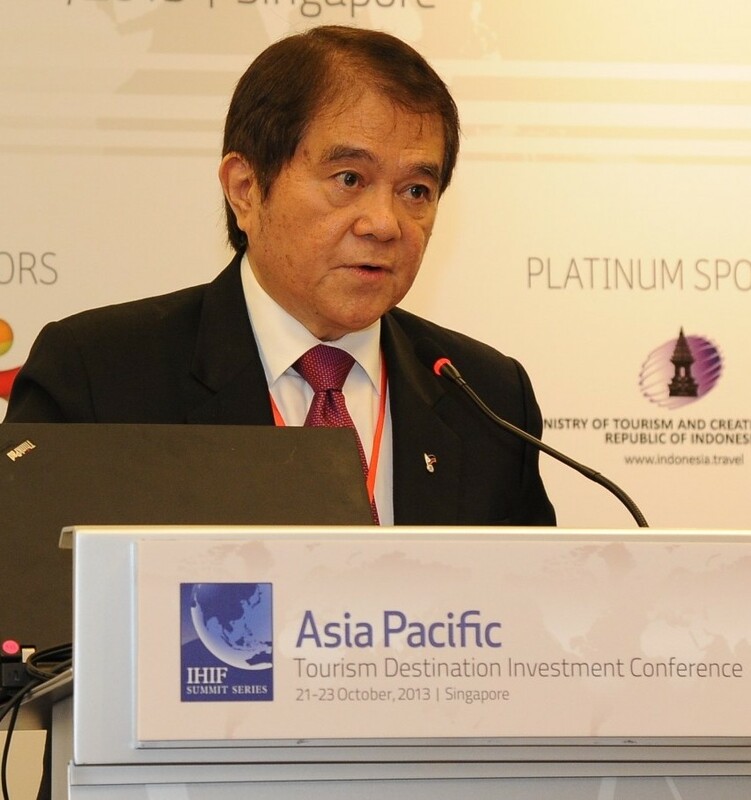 How is our state of tourism vs. other Asian competitors from the perspective of PCCI? Are we gaining market shares this 2016? The infrastructure chain, we help develop for airport, access road, accommodation, and world class attractions and activities has now become inadequate for the 6 million international tourists and some 50 million domestic tourists. We now ranked # 6 out of the 10 Asean countries in terms of International tourist arrival. We have been overtaken by Indonesia and Vietnam. If we do not build our capacity for at least 20 Million tourists by 2026, we will probably be overtaken by Cambodia and Myanmar and slide down to #8 position. Even at 20 million for international tourist, we will have only 3.7% market share of the Asia Market of 530 Million by 2030. A: Although we have some of the best resort in the world, the bad experience at the airport, the horrendous traffic, the questionable rating of hotels, the low quality equipment at the tourist destination, attracts the mid-low end tourist who spends less than $1000 for their trip. We need to upgrade our facilities to attract the mid & high end market who spends $2k to $4k per visit for truly exciting world class destinations. We are missing out on the biggest generators for tourism revenue which is shopping, a tourist can buy several shoes, bags, clothing, jewelries, gadgets, but our prices are not competitive because we do not have the “VAT-refund system” for tourist like those offered by top tourist destinations. Take note that a tourist can buy only one air ticket and one hotel room. They also buy dozens of souvenir items and food delicacies but our packaging is not good enough for gift giving. Q3. You are a proponent making Clark a key international airport. Why would this be a compelling solution? A: The total capacity for NAIA 1, 2 and 3 is 43.5 Million passengers per year, if it operates at maximum efficiency. In 2015 we have reached 36.5 Million passengers. Currently we have ridiculous runways that criss-cross each other and we do not have adequate air traffic control facilities. The NAIA congestion is an air disaster waiting to happen. We must develop a second airport; it can be in Clark, Sangley, Bulacan or any strategic location in Luzon to decongest Manila. With 7107 islands, it is important to upgrade the Cebu airport to become the hub for Visayas and a new international gateway in Davao for the Mindanao cluster. The international tourist should have direct flight to the Visayas and Mindanao without having to pass by Manila and this will further decongest NAIA. Q4. Traffic is bad in the Philippines but so are cities like Jakarta and Bangkok. What would be a potential unfair edge of the Philippines where traffic would not matter to the foreign tourists anymore? A: In Manila, we should redefine and promote 3 major and distinct tourist districts. We should use airport buses to bring them directly to any of these self –contained tourist destination. The “Bay Area Tourism District” stretching from Intramuros thru Roxas blvd. to SM MOA and the Casino/ entertainment city area. “The Makati/BGC District”. And finally, the “Ortigas/Araneta Tourism District”. Each of these 3 Tourism District has everything that will take the whole city of Jakarta and Bangkok to offer, and these self-contained districts are conveniently located in a cluster. Anchored by large scale Regional shopping center (unlike the fragmented shopping malls in Bangkok & Jakarta) clustered with Central business District and huge residential and tourist accommodation development. The tourist is just a few blocks away from where they shop, where they do business, shop, dine and be entertained. There are cultural, historical and religious site to visit and even a golf course in the vicinity. It is all there and if they want more, then they have to take overnight trip to the other Tourism districts in and outside Metro manila. Q5. You have been a critique of the existing star rating system for accommodation. Tell us what’s wrong with it and what’s a better way? A: PCCI advocated for our internationally understood and accepted rating system for Hotels that led to the passage of the law. The IRR was drafted by a small group of “expert” and implemented without much consultation with the sectors concerned nor with the PCCI network and was therefore rejected by some of the industry players. I still believe to reassure the international visitors that a rating system should be in place, to attract the seasoned international travelers, but we have to consult and get the acceptance of the industry on the Quantitative and Qualitative standard of the rating system. Q6. Given limited resources, what’s the better advertising strategy — make Philippines associated with a few world-class attractions (like Palawan and Boracay) or advertise as many attractions as possible? A: With our limited budget, we should focus on what is easy to sell. Boracay, Palawan, Bohol, Intramuros, Cebu and Davao. And from there, we entice them to stay a few more days to visit other tourist destination that are clustered about one hour from there. Under the present circumstances, we may find it more productive to reallocate some of our tourism budget, from the ‘long-haul’ USA and European market and use it to target the ‘short-haul’ wealthy Chinese, Japanese, Koreans and Indonesians. We can also do short campaigns to attract long staying rich tourists escaping their harsh winter months. Q7: Thailand has Thai massage and restaurants all around the world as their informal way of promoting Thailand. What can be the version for the Philippines? A: Japan, Korea and Thailand believe the shortest way to a persons heart is through the stomach. They have aggressively promoted their restaurant abroad. Francorp has help to develop a unique food franchise concept to be set up in strategic markets all over the world that will appeal to the various senses of the tourist to convince them to visit the Philippines. The idea is to visually attract the tourist to enter the “Philippine Travel Café”, because of enticing shop front and interior with a distinct Filipino character. He will be warmly welcome by cheerful Filipino music and smiling staff in Filipino attire. As he savor some Filipino signature dishes, desserts and beverages, he will be visually treated to the most beautiful tourist sites in the Philippines that is projected in strategically located large screens. If the guest shows some interest, he will be given a “second menu” of tour packages to the different destinations, and by the end of his meal he can have his confirmed air/travel arrangement; all arranged by the hospitable staff. Souvenir items, Filipino delicacies, Phil travel book will also be available at the counter. The healing and caring hands of our “Hilot Spa & Wellness” is another way to promote the Phil as a destination for health & wellness for retirement. Q8. What do you predict will be the next big trends in tourism and what can be the role of academic linkage? A: Cruising will be the game changer for our international and local tourism growth. Whether it is large ocean cruise that brings in 3,000 or more tourists to the Philippines or the inter-island cruises of less than 1,000 passengers that brings the tourist to the remote island tourist destination. The model for academic and industry linkage is Canadian Tourism & Hospitality Institute that is setting up training centers in major tourist destination all over the country to train the local people for employment in the various local hospitality and tourism establishment. Both Cruising and CTHI are great example of promoting inclusive growth. Q9. How will the reduced number of drug users and exceptional share of voice of the Duterte administration attract or turn off potential tourists to the Philippines? A: The “8th” A’s in the supply chain for generating International tourist is the Assumption of safety for the tourist. The common people in the streets are now saying it is safer to walk the street. They are no longer afraid to walk around even at night. The government reports that the crime rate has gone down. The President stated clearly, he will declare War on Drug. He did not say he will have a campaign against drug. He also said there will be a great number of casualties. Let’s look forward to the peace and order that should be forthcoming. When it comes, we can look beyond the 20 Million International tourist target.